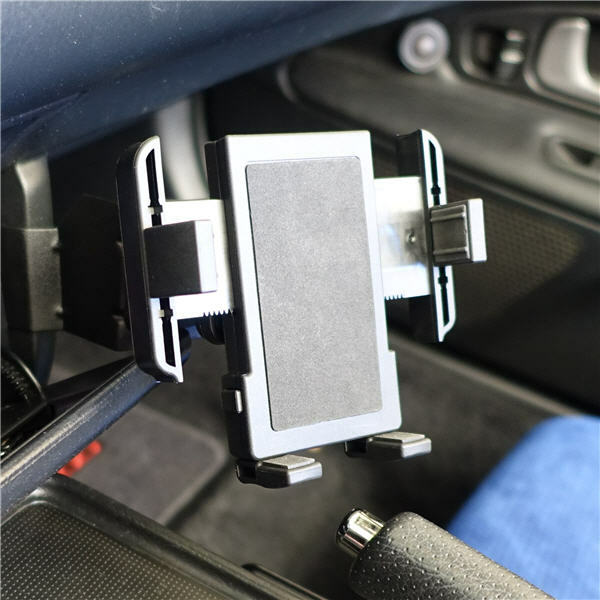 Special combination of 3 products provides a great mounting solution for phones or other electronics. 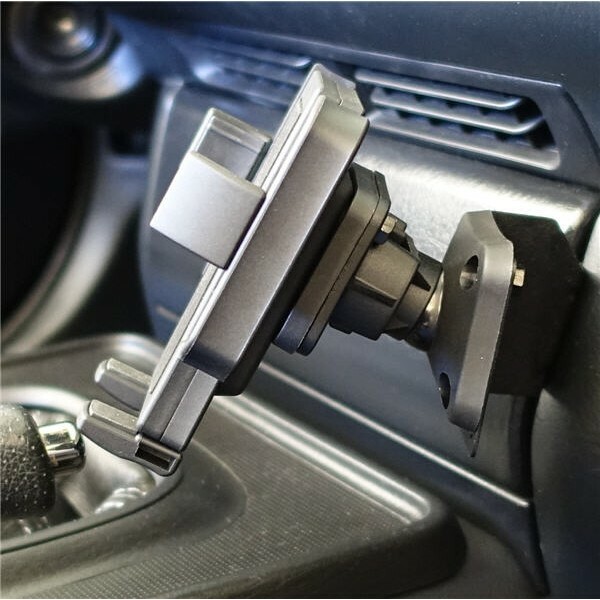 Eliminates the interference with the radio door that you can sometimes experience when using the Panavise Radio bracket to hold a phone, iPod, or other item. Plus, it gives you the ability to adjust the tilt and angle of the device as well as rotate it for "landscape" view. The tension adjustment wheel is accessible even after your device is mounted and allows you to control the friction of the tilt & turn adjustment. Can NOT be used in combination with the Tunnel-mount cup holder on 2006+ cars (2005 and before OK). Not available for RHD cars. All necessary mounting hardware is included. Installation requires removing the plastic trim around the radio (snap clips), removing two screws that hold the right side of the radio and installing the bracket under those same screws. Then the Tilt & Turn Adapter is mounted to the bracket, and the phone holder mounts to the adapter.